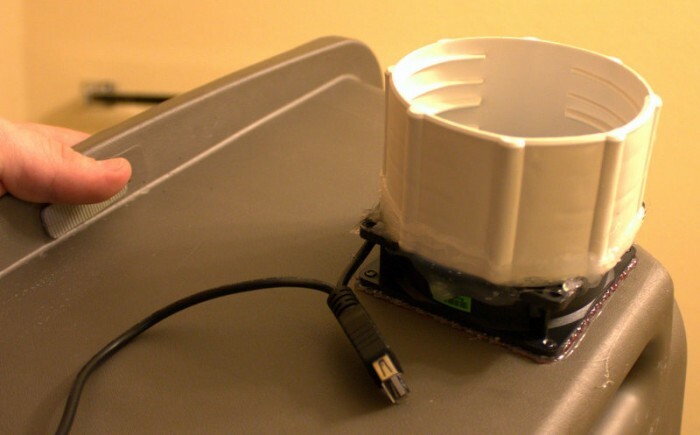 The following post explains the process of building a DIY/Cheap ventilated cat box. The total processes is fairly quick once you have the parts. 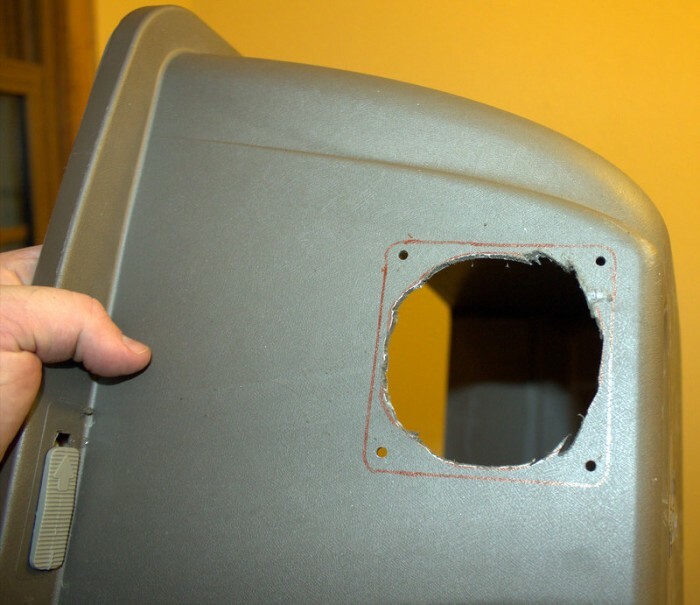 The application for this type of litter box modification is if you live in an apartment or happen to work a job where it is not always possible for you to get home and take care of your animal’s business. Note: You could just use a storage tote for a cat box it doesn’t need to be fancy. 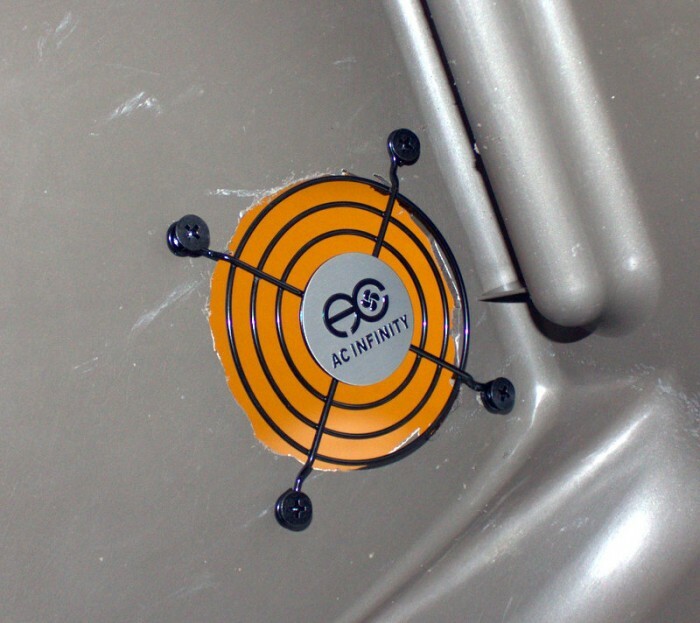 A USB powered fan -> I used the Infinity AI-MPF80A Quiet 80mm USB Fan $10 Shipped off amazon. They are also available on Ebay, but are more expensive. The fan is the only tricky part to find on this build I do recommend the fan mentioned above. It is low voltage (5v) so it should not be a fire hazard and it should not be able to hurt your cat even if he/she eats through the fan wire. Chunk of foam to put in the window. Can be trash or store bought. 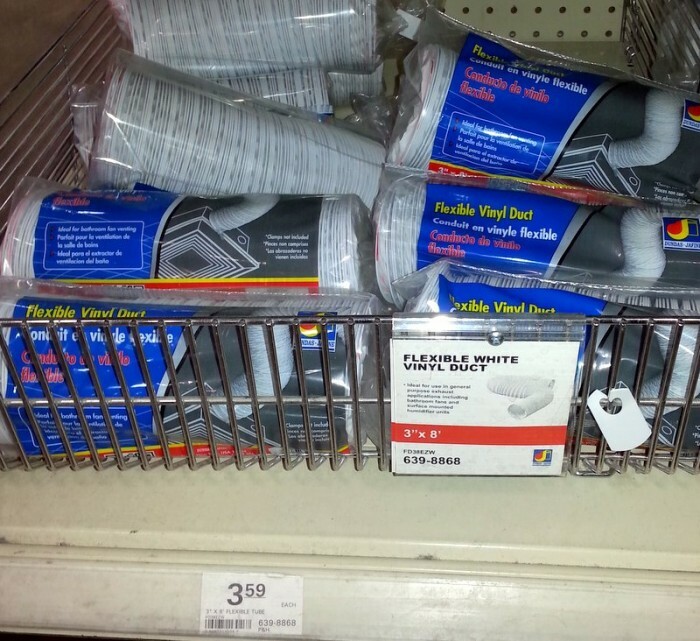 Indoor Window Insulator Kit – The stuff to put over old inefficient windows in the winter. USB extension cable <-Amazon is you best bet. The wire that comes on the fan is ~6 ft.
Push your dryer Vent through the foam. The edge should be sharp enough to cut through the foam. 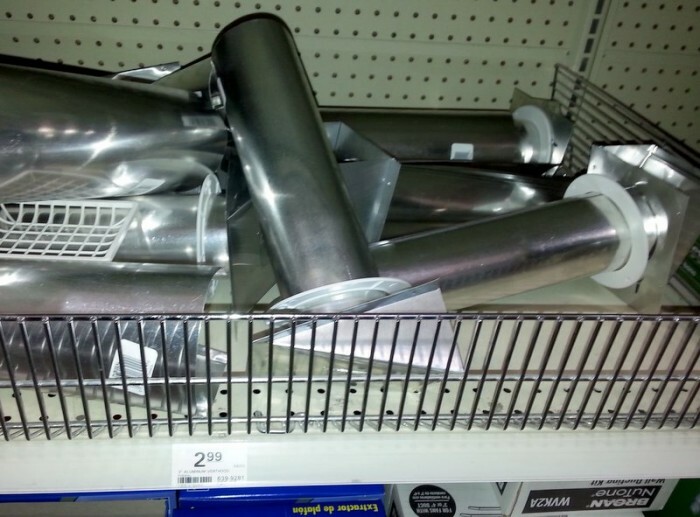 Cut the tub on the dryer vent down to a more useful length. Take the guards off of your pc fan. 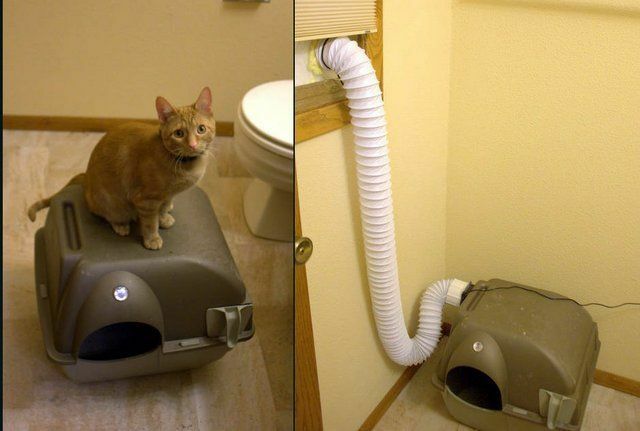 The duct coupler will allow you to quickly detach your litter box from the wall. Once cool place your fan over the screw holes, and finish tightening them down in tern holding the fan firmly in place. It can be a little difficult to get the screws to start. It is helpful to have a drill for this step, but it could be done with a screw driver and a little elbow grease. 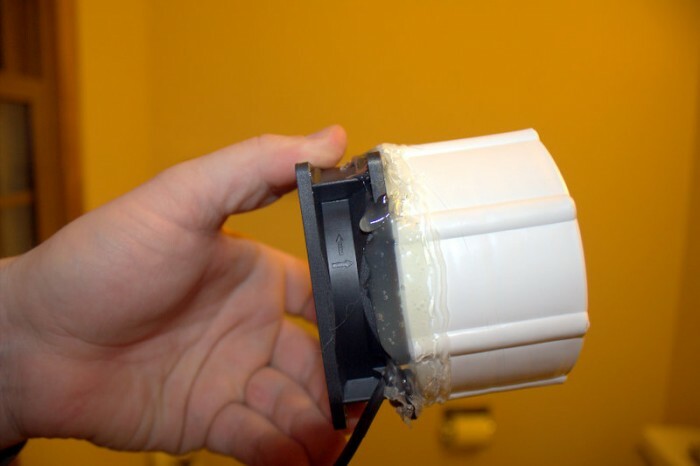 For added strength and smell suppression hot glue the fan to the cat box. Reassemble the little box and connect your dyer duct. The top part is just held on with a zip tie. You could use a hose clamp if you really wanted, but it fits quite tight so a hose clamp probably is not necessary. If you have any questions or would like clarity please leave comments. 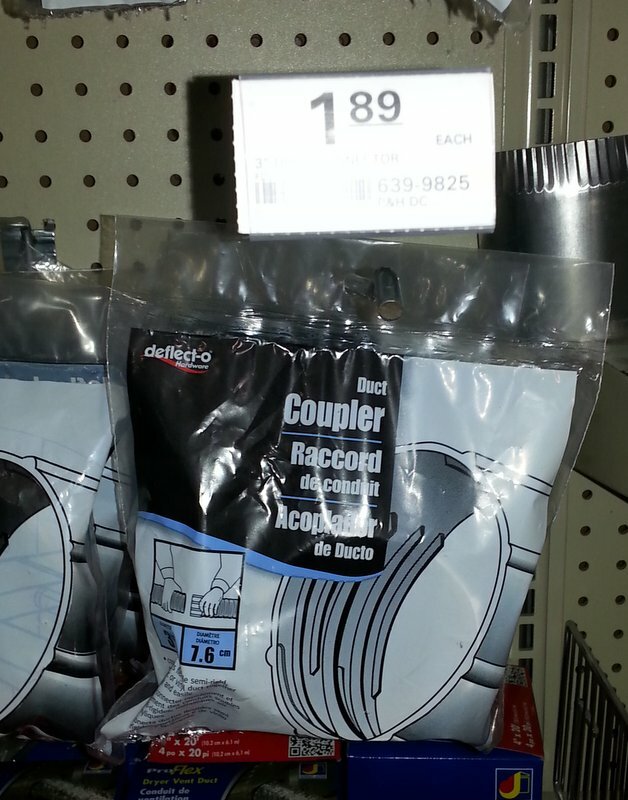 Examples of what the components look like in the store. Thanks so much for showing your solution. It looks quite do – able. I gave my cats a double decker litter by way of 2 black plastic mixing tubs set on a salvaged entertainment stand. I’m planning 5 enclose all that in a kind of teepee and then vent the teepee. 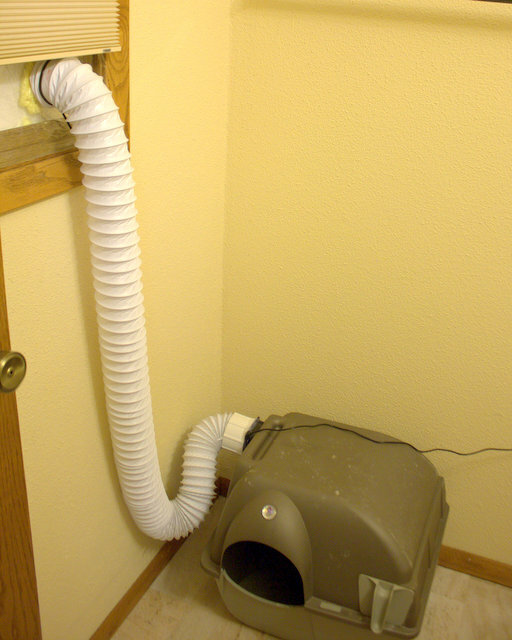 Is the air blowing in the litter box or pulling it out, like a dryer? You want negative pressure in the box.